It is the typical Chinese shoes for everyday life worn in the past. It usually costs a deft woman whole day and night to sew a pair of soles. Thousands of stitches are totally handmade. 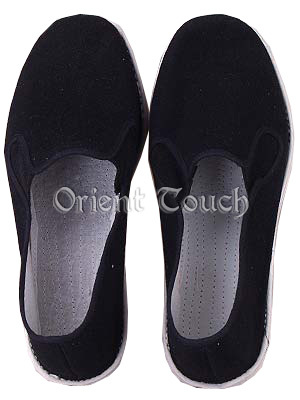 Pure cotton from top to sole will make you feel very comfortable by wearing it.